Despite having a pro-environment attitude, customers may not consistently reflect the same in their behaviour. This chapter explores the applicability of the social-normalisation theory to reduce the attitude-behaviour gap of customers for driving green behaviour in India. 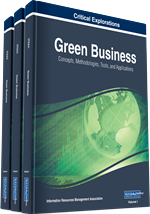 The theory argues that green behaviour can be driven by positioning green activities as normal. The chapter details the findings of an empirical study done across 496 customers pan India. Analysis done based on various techniques (Heat maps, factor analysis and regression) indicates that while a broader consensus existed among customers about what is green, the conceptions of normality of the activities vary thereby, corroborating the existence of an attitude-behaviour gap. Results shows that perceptions of what is normal have a significantly higher impact than perceptions of what is green and hence, social-normalisation theory can be applied to drive green marketing in developing countries like India. Rapid pace of growth and burgeoning population has bought unmindful and irresponsible consumerism leading to several environmental challenges for emerging economies in Asia (Zhao and Schroeder, 2010; Lee, 2009). Asian markets like India and China face growing challenges like resource scarcity, rising consumption levels and fast pace of urbanisation resulting in sustainability issues for both consumers and companies (Accenture and UN Global Compact, 2013). As per World Bank estimates, the cost of environmental degradation from various sources (urban air pollution; inadequate water supply, poor sanitation, hygiene; indoor air pollution, natural resource damage) in India was USD 80 billion or 5.7% of GDP in 2009 (The World Bank, 2013). In a survey conducted across 178 countries by World Bank, India ranked 155th overall and almost last in the level of air pollution exposure (The World Bank, 2014). Greendex 2008 survey findings show that consumer choices have a big role in ensuring sustainable pro-environment practices (phys.org, 2008). For example, customer choices regarding lowering household energy consumption by using energy-efficient devices, reduction of fuel consumption by walking or using public transport instead of individual transport, use of organic or lesser polluting products can impact environment positively. Individuals need to accept pro-environmental products which may impact their lifestyles and beliefs. Thus, many of the environmental issues are embedded in human behaviour and therefore, need to be managed by changing the relevant behaviour (Vlek and Steg, 2009). While there is an increase in environmental issues in emerging Asian markets like India, yet researchers find a higher proclivity towards the future purchase of sustainable products by customers of these emerging markets (Khare, 2015; Kumar and Ghodeswar, 2015; Accenture and UN Global Compact, 2013). Further, the rising economic and social costs of environmental pollution resulting in business sustenance issues, stricter enforcement of environmental regulations, higher awareness and penchant for customers to adopt pro-environmental practices and have led Indian firms to explore green marketing for sustainable growth (Saxena and Khandelwal, 2012; Mishra and Sharma, 2010; Jain and Kaur, 2004). Green marketing is the marketing of pro-environment products or products that are presumed to be environmentally preferable (Barbarossa and Pastore, 2015). Green marketing can create value for corporates as it yields a triple bottom-line of social, environmental and financial performance for the firms (Elkington, 1997). It can help companies manage risk of operational disruptions like resource scarcity and climate-change. It can reduce operating costs through better internal resource management like minimisation of energy consumption and higher carbon credits, which can result in improved value propositions for products. Driving green appeal can further mitigate risks, capture opportunities from regulation (Barbarossa and Pastore, 2015) and can drive higher brand equity (Trott and Sople, 2016). Additionally, it can drive sustainable competitive advantage, for example; the 3Ps (polluting prevention pays) program of 3M has been recognised as a significant step in corporate environmental practices.